Even with a split Congress, many in Washington believe a bipartisan infrastructure package is a real possibility in 2019. Given that such a deal could total in the hundreds of billions of dollars, lawmakers should be motivated to limit federal spending and avoid adding to our already massive debt. Before pen hits paper, it is important for policymakers agree to a sensible framework that maximizes every dollar and protects taxpayer interests. From a taxpayer perspective, a meaningful proposal should include prioritizing private capital, eliminating project-labor agreements, removing narrow barriers to financing, undoing restrictions on materials and construction techniques, and considering a better alignment of usage and financial responsibilities. Perhaps one of the most cutting edge and cost-effective provisions that should be a requirement on taxpayer-funded projects is Life-Cycle Cost Analysis (LCCA). This is an important taxpayer guardrail which uses detailed accounting data to accurately estimate the total cost of a project, including initial construction, maintenance, and savings from alternative construction materials. In the private sector, LCCA is a standard technique that investors and managers use to determine if a given undertaking is worth the initial price. LCCA can also help to inform other types of project analysis, including Value Engineering and Technical Auditing. Incorporating LCCA in any infrastructure package would deliver transparency in what many consider an opaque, behind-closed-doors process. It would also provide officials with the most accurate information for projects that require taxpayer dollars. Given the benefits of LCCA, a bipartisan pair of lawmakers introduced legislation require such analysis on federally-funded infrastructure projects over $30 million. 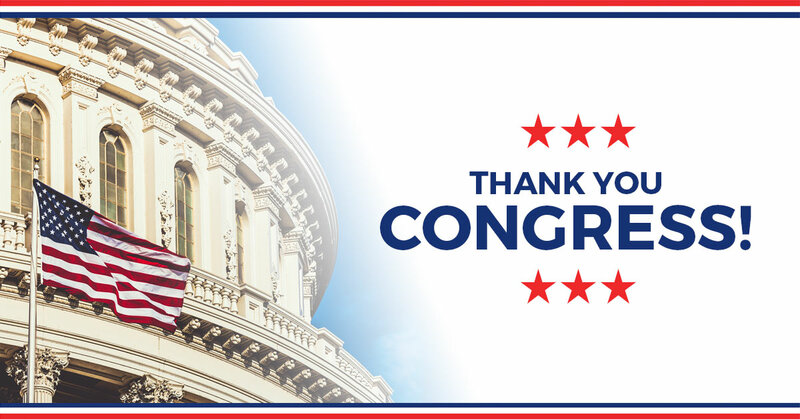 NTU commends Representatives Stauber (R-MN) and Aguilar (D-CA) for spearheading H.R. 1890, the Preserving America’s Infrastructure Dollars (PAID) Act of 2019. Their sensible approach should garner additional cosponsors and we urge the House to swiftly pass this important bipartisan legislation. The cost savings stemming from the use of LCCA was evident in a comprehensive report from 2018, which indicated an $91 million savings for each $1 billion spent on pavement construction and maintenance. This 9.1 percent savings could either be used to fund additional roadways, or simply subtracted from the overall cost of the project. Without the use of LCCA, government would be leaving valuable taxpayer dollars on the table -- solely to the benefit of entrenched special interest groups. Despite an absence of LCCA on federal projects, numerous state and local governments use them to their advantage to make the most informed investment decisions. Take for example the Metropolitan Transportation Commission in San Francisco, where they believe the use of LCCA has saved the Commission saved hundreds of millions of dollars by preventing investment in unwarranted projects. It’s a similar story in Pennsylvania, where the Department of Transportation uses the model to determine the cost of paving and rehabilitating interstate highway projects. They estimate the department has saved taxpayers more than $30 million since the 1980s utilizing this technique. Even the Port Authority of New York and New Jersey, which few would consider good stewards of taxpayer resources, use some degree of LCCA. The Port Authority calculates the use of LCCA will save $140 million over 40 years on runway maintenance at JFK Airport and another $100 million over 20 years for repairs to the George Washington Bridge. Other federal legislation also validates the concepts of the PAID Act. The recently-reintroduced, bipartisan Public Buildings Renewal Act would through sensible federal tax policy enable more Public-Private Partnerships for state and local government buildings—a proven concept estimated to yield an average taxpayer savings of nearly 25 percent over the life-cycle of a given project in this area. LCCA is a key element in how these partnerships can be so effective. The bottom line is that LCCA saves taxpayers money and is the most efficient way to determine investment decisions. Data from state and local agencies point to the success of such a useful program and there is no good reason why the federal government should not already be doing so as well. Thankfully, the PAID Act would bring LCCA into the mainstream and realize immediate taxpayer benefits. We urge all members of Congress to cosponsor HR 1890 and show the country that an infrastructure package isn’t just about spending money—it’s about saving taxpayer dollars wherever and whenever possible.